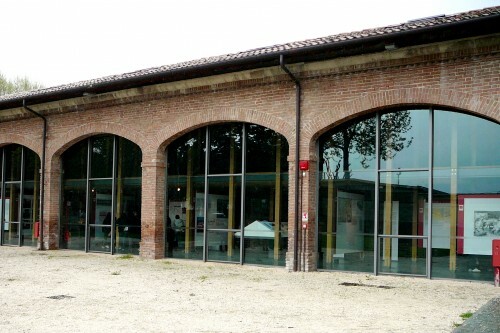 The Museum of Prosciutto and Cured Meat Products of Parma is located in the small city Langhirano, west of Parma,in the site of the former cattle market between the historic center and the Parma River. 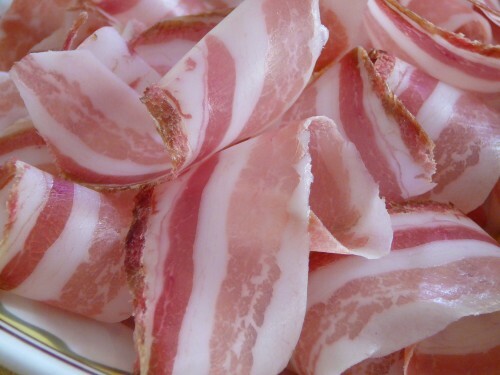 For centuries and still today the area south of the Po River and north of the Apennine ridge of mountains, is famed for its prosciutto, cured hams. It is a land rich in oaks yielding acorns for feeding pigs; guaranteed a supply of special preserving salt from thermal springs; and blessed by the marine winds from the Mediterranean Sea for drying the savory haunches. The Museum of the Prosciutto and cured Meats of Parma is dedicated to these gifts of nature, to the gastronomic culture that developed prosciutto, to its history and to the generations of people who have faithfully passed on its secrets. 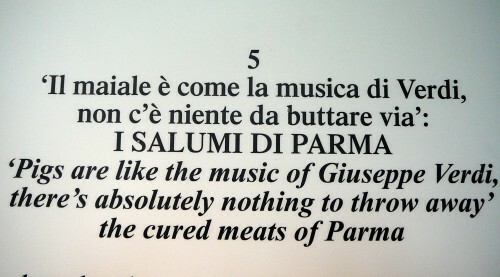 Inside the museum, there is an exhibition detailing the production of Parma’s prized cured meats. You can also follow the changes in production methods from ancient pork butchery to modern technologies. There are eight sections in the museum composed of photographs, historic documents, machinery, and audio-visual productions. 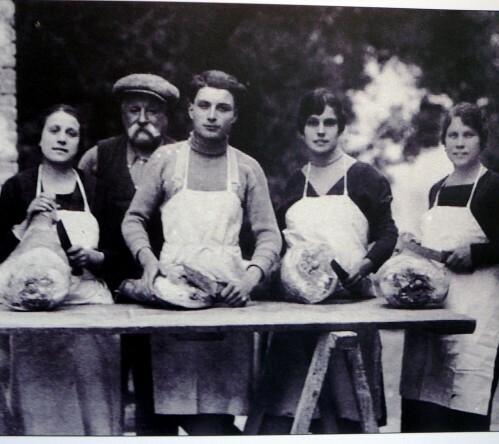 The museum strives to define the region, the pig breeds used for certain products, the historic and political role of salt, pork butchery, and the many types of traditional Parma salumi (cured meats). There is also information about importance of the Prosciutto di Parma Consortium and their work to safeguard quality. A visit to the museum ends in the tasting room where a variety of sliced meats and local products are served. For a very special afternoon, add a tasting of local wines. For groups of up to 25 people: € 20.00 in addition to the ticket price – reservation necessary. Publications and typical products of the territory. 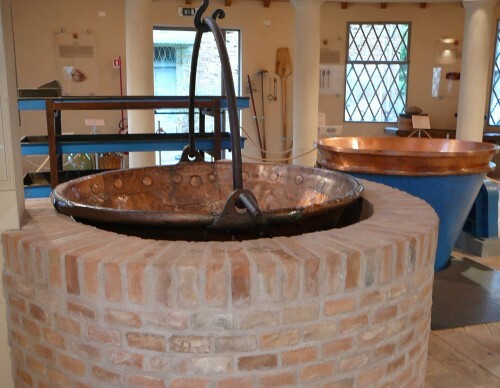 Northwest of Parma, on the edge of the small town of Soragna, is the oldest of the new food museums, musei del cibo, organized in the last five years in north-central Italy. The Parmesan Cheese Museum, Museo del Parmigiano Reggiano, is worth a detour, especially if you pair it with a visit to a modern Parmesan cheese factory in Soragna. 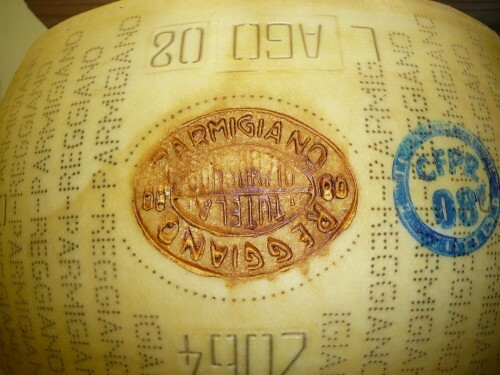 The famed quality of Parmigiano-Reggiano cheese is the excellent and well-balanced result of many factors, from the particular lushness of pasturelands and milk, to the artisan techniques of production (unchanged for seven centuries), to natural ripening and maturing processes (a total absence of preservatives, additives, anti-fermenting agents or colorants), together with the rigorous quality controls imposed by the Consortium of Parmigiano-Reggiano Cheese (begun in 1934). The Consortium brought together the cheese producers working in the provinces of Parma, Reggio Emilia, Modena, Mantova and Bologna, which constitutes the protected production zone. The latest statistics (2002) counted 547 Consortium members, who relied on 270,000 cows belonging to 7,000 farmers for their milk. Annually about 409,425,000 gallons of milk are used to make 245,691,900 pounds of cheese, for a total of 2,937,535 wheels. Between 88-90% of these wheels are eaten in Italy. An average of 90,000 wheels are exported every year to the USA. Producing a pound of Parmesan takes about two gallons of milk and each wheel weighs an average of 66 pounds. 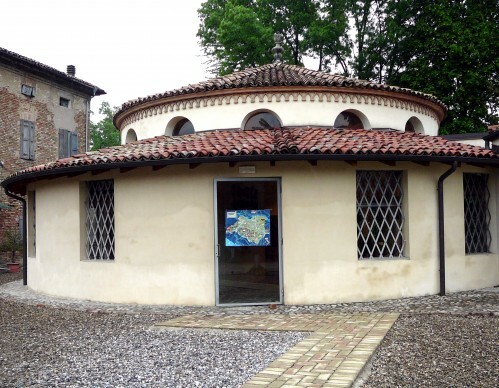 Housed in the only surviving mid-19th century round casello of the cheese works once owned by the Prince Meli Lupi, the Parmesan Cheese Museum has three rooms. In the first, the various production phases of the cheese, which is only made between April 15 and November 15 when the animal feed (mixed grasses and clover) is at its best and the milk at its richest, are explained through the display of equipment and hundreds of utensils necessary for hand-making and distributing this “king of cheese.” An 18th-century copper cauldron, an old milk wagon that was pulled by hand, an early steam boiler to heat the milk in the cauldron uniformly, and an early 20th-century churn are included in the collection. In the second display room, called Sala della Salamoia or Curing or Salting Room, are panels illustrating the history of Parmesan, which was mentioned by Columella, Varro, and Martial, and seems to go back to ancient Roman times, but the first surviving historical documents date to Parma’s Abbey of S. Martino dei Bocci in the late 1290s. At first the wheels were only 3.2 inches high in contrast with the 10 inches of today. They were covered with salt instead of immersed in salt water. Boccaccio’s Decameron (1348-49) boasts the cheese’s first literary reference: in the third story of the eighth day, the poet poked fun at the gullibility of Calandrino, one of his characters, by having him believe that in Bengodi, in Parmesan country, there was a mountain consisting entirely of grated cheese and that the people who lived there did nothing, but cook macaroni and ravioli, which they rolled down the slopes so that the pasta arrived at the bottom coated with fragrant cheese. The third room, the Sala del Latte or Milk Room, is devoted to the ageing process – at least two years (vecchio or old), better yet three (stravecchio or very old), and preferably four (stravecchione or the oldest) – and to the history of the Consorzio or the consortium, the producers’ co-operative. An excellent English language film presents the history and process of making Parmesan cheese. A tasting of Parmesan cheese is offered after your visit. A quaint little private farm museum is situated in the modern part of the building and is open only if the proprietor is there. Closed. Access to the museum is possible only by booking. Free handicapped entrance with accompaniers, accompanying teachers, journalists and children under 6.